Think you got what it takes to be the HALLOQUEEN?! Show us your FRIGHT-NIGHT #TBT photo on Instagram or Twitter to enter. Competition will run on Instagram and Twitter. 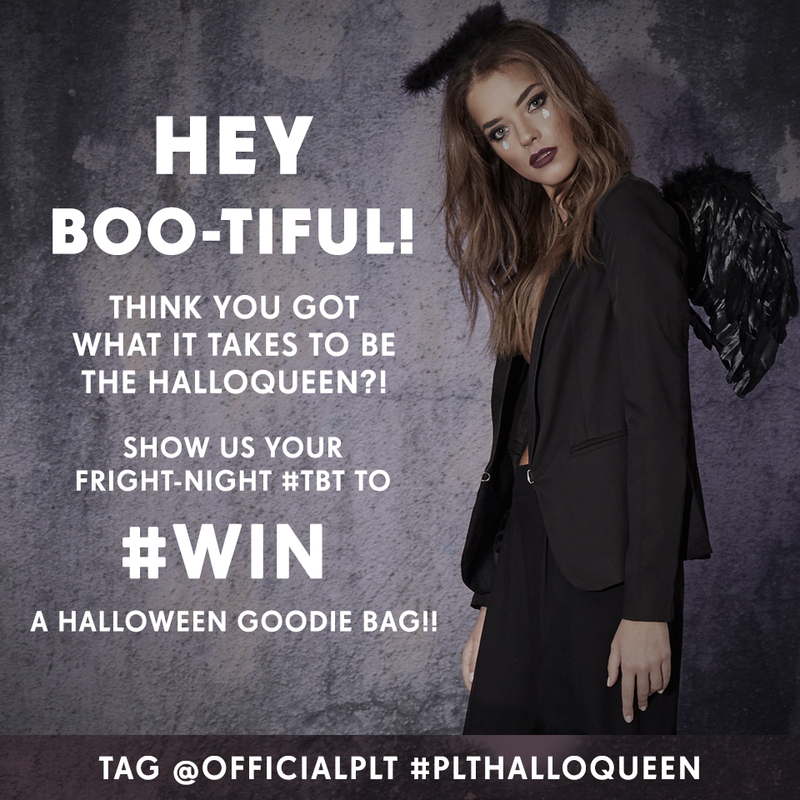 Enter by uploading your Halloween outfit or makeup post, tagging @OfficialPLT and using the hashtag #PLTHALLOQUEEN. Winners image must be original image, entries using imagery that is not their own will be disqualified and not be counted. 1 X winner will be chosen at random from either channel and will be gifted with a Halloween goodie bag worth up to �50. Winners images will be posted on our blog. Winners will be notified via private message on Instagram or by DM on Twitter and announced by the end of Monday 26th October, 2015. By entering participant grants PrettyLittleThing free�license�to use participants image in marketing communication and on social media. Entries which otherwise do not comply with the rules will be disqualified. If the winner does not respond within 48 hours of notification, PrettyLittleThing reserve the right to re-allocate the prize. PrettyLittleThing reserve the right to cancel or alter at any time.